Description: 1964th-THE BIG TAVERN is an intriguing point and click type new escape game developed by ENA Game Studio. Presume a situation there was a robbery in a museum, 20 objects were stolen. There was a hotel in a city which gives more taste in all varieties.The thief regularly go to that hotel for dinner.One day he hide that photo frame inside a hotel which was stolen in a museum. Bruter went to that hotel to find photo frame. 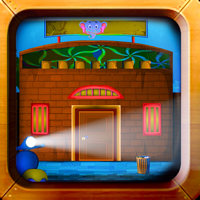 Be addictive on playing escape games.